In the opinion article “Success Is Not Always Spelled STEM,” Alia Cuadros-Contreras talks about pursuing humanities in a world that seems to prioritize STEM over liberal arts and how people should be able to follow their interests into a career no matter the field of study. Scroll down for the multimedia stories of several Palo Alto High School students who are pursuing their love for the arts and humanities. Junior Serina Nguyen talks about her experiences with fashion and why she’s interested in the field. Sophomore Alexandra Dinu discusses the moments in theater that make it so special for her. 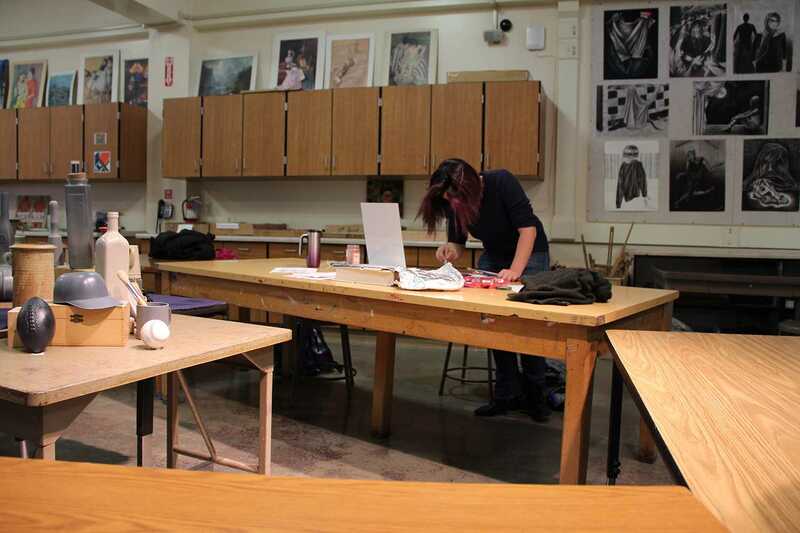 Senior Jocelyn Khosla discusses her love of art. Junior Georgina Wu shares her personal perspective on the status of STEM at Paly through her experience with singing. Senior Sophie Swezey talks about the utility of theater and the useful skills it teaches. Below, Paly alumni and founder of the Paly improv troupe Lauren Garland talks to the club about people interested in theater as a possible career. Senior Leyla Gokcek talks about how she found a love of art through her experience with STEM. Junior Belle Doughman discusses her view on the importance of STEM at Paly as a person deeply interested in fashion. Junior Aisha Chabane talks about the creative writing club she started with fellow juniors Emilia Diaz-Magaloni, Chayenne Greenberg and Atusa Assadi, Another Sky. Junior Anisha Patwardhan talks about her experience with the League of Creative Minds, a local program for high school students interested in foreign affairs and diplomacy. Senior Isabel Nichoson talks about what makes ballet so special for her. Junior Isabel Nichoson poses in her ballet costume.